Do you have sheep and/or goats? Are you interested in learning about small ruminant nutrition, disease prevention, the new veterinary feed directive, or using sheep and goats to manage weeds and fire fuels? UCCE will be hosting a workshop specifically for sheep and goat producers on Tuesday, June 13 in San Benito, Monterey, or Santa Cruz County (location to be determined). But, we want to hear from you about what topics are most important and pressing right now, and which location would be most convenient for the workshop. Please consider filling out our survey to help us put together a great workshop! The survey has 6 questions and should take less than 5 minutes to fill out. Here's the link to the survey: http://ucanr.edu/survey/survey.cfm?surveynumber=20195. Survey responses are anonymous unless you choose to provide your name. If you are not a sheep or goat producer, but you know someone who is, please feel free to pass this info on to them. If you have any questions or additional suggestions, you can contact Devii Rao at drorao@ucanr.edu or 831-637-5346 x14. I am interested in a sheep and goat workshop on June 13, 2017. I live in San Luis Obispo county, but would be willing to attend a workshop in either San Benito, Monterey or Santa Cruz county. 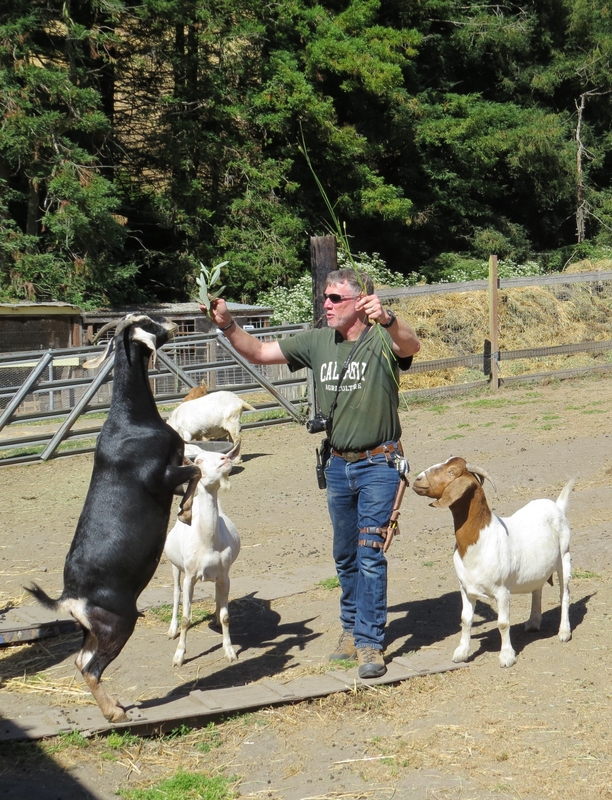 I have been raising dairy goats for 40 years, but I am always interested in learning more and updating my goat management.